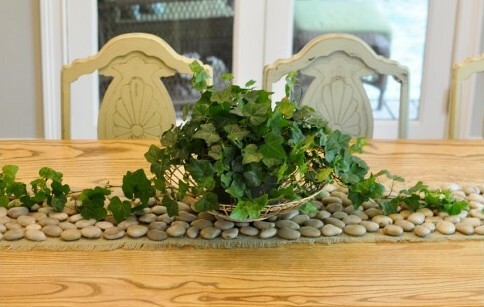 Make a table runner out of stones by gluing them on a piece of burlap! Follow the tutorial on the source to create this idea. See this idea using stones in a variety of colors. Watch a video tutorial for this idea using a floor mat to make the runner.